Zane Benefits, the leader in individual health insurance reimbursement for small businesses, announced today a new 1-minute video, "The Remedy." The new resource provides a quick look at the challenges small businesses face this renewal season and how to use Zane Benefits' software to offer better benefits with fewer hassles and lower costs. According to the video, premiums are flaring up and renewals are becoming painful. In fact, according to one study, 90 percent of employers are facing health plan premium increases this year, with a quarter seeing increases in the double digits. 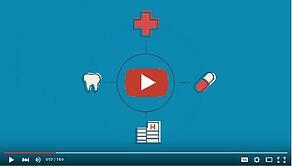 As the video discusses, there is a better small business health benefits solution: individual health insurance reimbursement. With the Zane Benefits cloud-based, self-service software program, employers can provide employees a tax-free reimbursement for individual health insurance premiums and give employees the freedom to choose portable health insurance coverage. Employees benefit from health insurance subsidies and other perks of modern individual health insurance coverage; all while staying legally compliant and eliminating the administrative costs of maintaining a traditional group policy. If you find the video helpful, please share it with friends, colleagues, and clients. You can also view and embed the video from YouTube. Watch and Share the Video Now! Zane Benefits is the leader in individual health insurance reimbursement for small businesses. Since 2006, Zane Benefits has been on a mission to bring the benefits of individual health insurance to business owners and their employees. Zane Benefits' software helps businesses reimburse employees for individual health insurance plans for annual savings of 20 to 60 percent compared with traditional employer-provided health insurance. Zane Benefits' software has been featured on the front-page of The Wall Street Journal, USA Today, and The New York Times. Learn more at www.ZaneBenefits.com.